It was only a matter of time. Although he had sworn a handful of adults in his immediate family to secrecy, the truth was evident: my uncle was dying. A gentle, spiritual man who loved Italian opera and a good joke, I suppose he did not want other family members to mourn him before he had actually passed on. Not quite on the brink of adolescence, I’d seen the desolation that had kidnapped my aunt’s usually cheery countenance. I’d heard my mother sobbing every evening behind her bedroom door, begging for the divine intervention that never came and the medical procedure that had not yet been discovered. When I questioned my mother, she refused to confide that my uncle’s condition was terminal. Assuming that she was in denial instead of operating under a vow of silence, I did not press the issue whose outcome was inevitable. On a frigid January night, haunted by nightmares and perhaps the creeping knowledge of that inevitability, my aunt was awakened by a ringing telephone. Switching on the lamp, she noted the time. It was too late in the evening for a social call, so she knew in her heart that this was the call that she had been dreading. Indeed it was. A kind nurse on the other end informed her that my uncle had died five minutes earlier, giving her the precise time of death. Part of my aunt’s psyche detached itself from this sorrowful news to register the fact that the clock by the side of the bed — the bed that she had shared with my uncle for so many years — had stopped ticking at the exact moment of his passing! Overwhelmed with grief, my aunt fled the bedroom as if to leave the pain behind her. Restless, she roamed the house, flicking on lights in each room like an automaton. In the last room that she entered, a miracle was illuminated. Beneath the lamp on the end table stood an antique clock that had not worked in years. An heirloom too beautiful and precious to throw away, my family had kept it although it no longer functioned. Long before the onset of his illness, my uncle had taken that clock to several watchmakers, but none of them had the expertise to fix a timepiece that old. 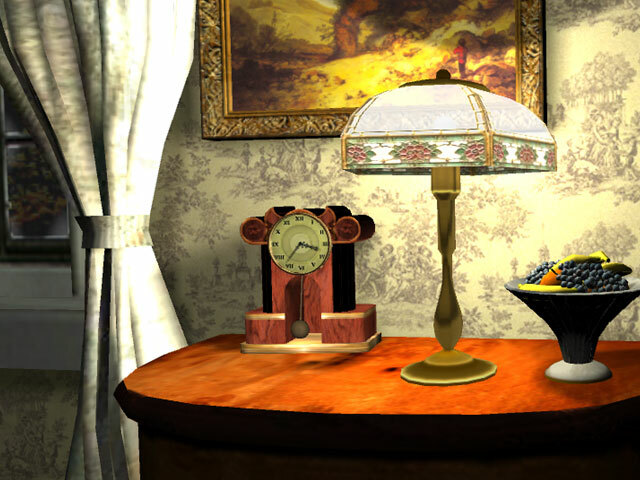 And so, the clock had sat mutely for many years beneath the lamp, its hands forever frozen upon some long-ago moment. Into the still of the night, that clock began to tick. My aunt snatched the thing up in her hands, peering closely at its face. Impossibly but most definitely, the hands of the clock were moving! It was as if my uncle, in the moment of his passing, had had driven the two clocks — one operational, one ornamental — to send his beloved wife an unmistakable message. He was telling her that although his soul’s journey on Earth had ended, on the other side, it had only just begun. I have the chills. How can a story be so terrifying and uplifting all at once?